All work that is to be undertaken needs a solid plan – especially if you’re to complete it quickly and effectively. Creating a plan will allow you to have a clear understanding of what you need and how much it will cost. Whether it be a simple job or something more complicated, no project is too big or too small for the team at Skips Preston. Redecorating or clearing out your property are both examples of domestic projects which can generate a significant volume of waste. Hiring one of our skips will allow you to remove waste as soon as it’s generated – keeping your premises clean and tidy. Our skip hire Preston services are tailored to suit your exact disposal requirements, which is why we suggest planning your project from start to finish. Don’t jump in two feet first and rush your project. It’s better to take your time and ensure that you have everything accounted for – ranging from tools, materials and professional expertise. Deciding on a budget is ideal too. Once you know the scale of your project, it makes it easier for you to work out a cost and set aside a budget. Something that most people forget about when renovating is what they’re going to do with the waste that’s generated. Here at Skips Preston, we provide skips for customers in various locations, including Chorley, Bolton, Leyland and Wigan, and these are available in a wide range of sizes. Our skip hire Chorley and skip hire Bolton services are tailored towards the requirements of customers. With so many different skips to choose from, you may find yourself spoilt for choice – but this needn’t be the case. We supply mini, midi, maxi and Ro-Ro skips to suit projects of all sizes. If you need any help selecting a skip, don’t hesitate to contact us. At Skips Preston, we guarantee a flexible service. Using skip hire Leyland as an example, there are several factors that you need to be mindful of if you’re to receive the best service possible – including where your skip will be left overnight. When skips are left on the road, you need a permit to legalise your skip hire. Permits can be obtained from Leyland council and are required before your skip is delivered. Once you have decided which skip you need and where it will be placed, call Skips Preston to arrange for your skip to be delivered at a time that suits your project best. We deliver it safely using our reliable fleets which incorporate the latest technology. 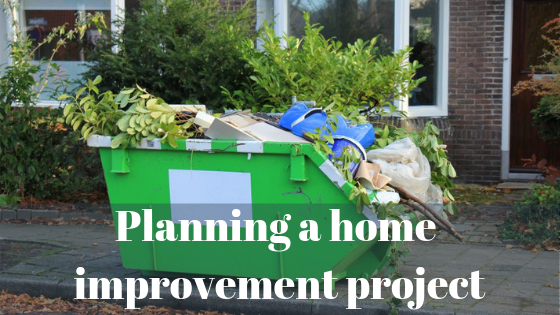 As soon as your skip is delivered, you’re able to start your project. We recommend storing items in an organised manner so that you can squeeze more in – making the most of the space available. At Skips Preston, we arrange to collect skips from your premises, taking care of the disposal of waste and keeping your skip hire Wigan costs low. If you haven’t completed your home improvement project and need a new skip to replace the full one, this is something that we can also arrange. Our team of experts are always on hand to discuss your project requirements in further detail. For more information, call us on 01772 827 603 or email us at info@skipspreston.com today.